The best retailers, supermarkets, banks and mobile service providers have been shortlisted by Which? for our annual Which? Awards. 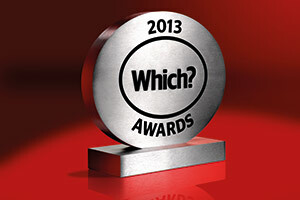 Big-name brands such as Aldi and Sony have been shortlisted for a Which? Award in recognition of how they consistently get it right for their customers. This year, the awards feature two new categories: Best Customer Care and Best Computing Brand. The Best Customer Care award highlights companies that consistently deliver excellent customer service and put consumers at the heart of their businesses. Winners of this year’s awards will be announced at a ceremony held on Wednesday 19 June. Which? chief executive Peter Vicary-Smith said: ‘The Which? Awards 2013 celebrates those companies that go the extra mile to put their customers first. Excellent customer service is good for customers and good for business. Awards will also be given in the following categories, still to be shortlisted: Which? Local Business of the Year and The Good Food Guide Reader’s Restaurant of the Year.